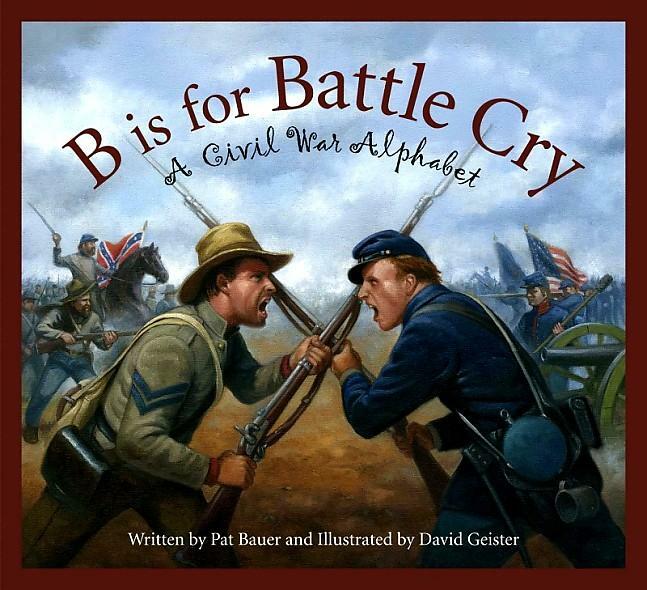 When perusing through Patricia Bauer’s book, B is for Battle Cry, A Civil War Alphabet, the reader cannot help but be mesmerized by the intricate, captivating illustrations created by David Geister. However, Ms. Bauer quickly draws the reader in with her insightful presentation of detailed information relative to the Civil War. There are non-fictional anecdotes corresponding to each letter of the alphabet which engage the reader in discovering a plethora of information from diseases that plagued the soldiers, to the construction of ironclad ships, and the recognition of the significant roles that women assumed in this war. B is for Battle Cry ia a successful collaborative effort between Patricia Bauer and her artist husband, David Geister. While targeted for children, young and old alike will expand their knowledge of this historical time period by reading this masterfully created picture book. This book is the Rochester Reads youth selection for 2012, and you are invited to join us on April 10th at 6:30 PM in the Library Auditorium to meet Patricia Bauer and David Geister as they present to our children this beautiful book on Civil War History. Registration is not required, and parents are invited to remain with their children for this presentation. Oracles of Delphi Keep is a fantastic novel intertwining Greek mythology, sorcery and pyschic intuition. It tells the story of Ian Wigby and and his sister, Theo Fields, both orphans under the sponsorship of the Earl of Dover and housed in Delphi Keep Orphanage. Life at The Keep is one fun adventure after another, until the day Ian and Theo discover a treasure box hidden deep withiin the caverns of an undiscovered cave. Retrieving the treasure box, they awaken a beast unlike any they’ve ever seen and nearly meet their demise as they barely escape the jaws of the ginormous beast within the cave. But the adventure has only begun. The treasure box they’ve discovered will open a Pandora’s Box of mystery, intrigue and a whole lot of danger and the two will soon be on the run for their lives. Written by Victoria Laurie, Oracles of Delphi Keep is fast-paced and filled with tons of twists and turns, as well as enough suspense to keep even the most jaded of readers on the edge of his seat. Though written for a target audience of 5th through 8th grade readers, this book should also appeal to adults and those who enjoy a good story with great characters and heart-stopping action. 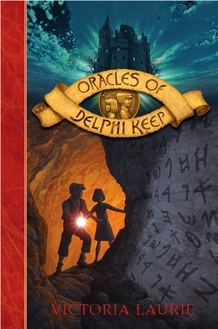 Oracles of Delphi Keep is the first in a series of books by Victoria Laurie, followed (so far) by Curse of the Deadman’s Forest and Quest for the Secret Keeper, all of which are available at either Rochester Public Library or through SELCO. For more information about this series of books, visit the author’s website at www.victorialaurie.com. Years ago when I was just a college student and was in the early stages of getting to know my husband’s grandparents, I’d sit for hours on hot summer days and listen to my future grandfather-in-law talk about his experiences in WWII. Granndad had been a POW during WWII, and had been imprisoned in a German prisoner of war camp. It was interesting to me at the time, but it was so far removed from my young adult life that I didn’t realize the gift I was being given by his telling me his stories. What I do remember from his many stories – what has stayed with me these last 20+ years – is his saying, “Thank God I was in a German camp. Thank God I wasn’t in a Japanese POW camp.” Until recently, I never understood what he meant. I never understood how he could be thankful to have been captured by the Germans, rather than by the Japanese. That simple statement has haunted me for years, and yet it has never occurred to me to ask the most basic question…why? What was so much worse in the Japanese POW camps that one would be actually thankful to’ve been found by the Germans instead? Unbroken is the story of survival. While the overall story focuses on one man in particular, Louis Zamperini, and his remarkable survival on the open ocean before being captured and held for years in a Japanese prisoner of war camp, it’s more than just the story of one man. Unbroken is the story of the strength of the human spirit. It’s the story, I’m sure, that many of the WWII soldiers who were captured by the Japanese could tell; the story of the atrocities they endured, and then the nightmares that haunted them for years to come. It’s the story of an entire generation, and it has opened my eyes to a better understanding of how and why my parents and grandparents behaved and thought the way they did. 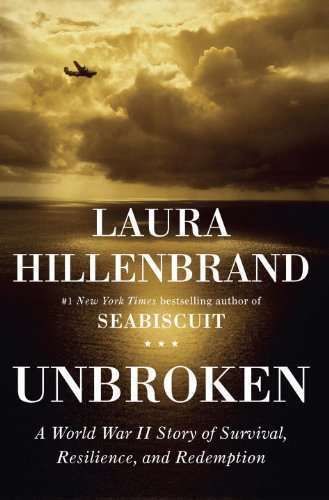 Unbroken is that rare work of non-fiction that reads like a novel, drawing the reader so deeply into the lives of the characters that one completely forgets that he’s reading a true story. Unlike many non-fiction writers, Laura Hillenbrand has a gift for personalizing the individual’s story and drawing the reader in with the facts, without overwhelming him with trivia. Truly an exceptional read and one I would strongly recommend. 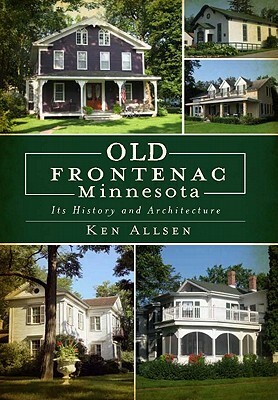 This book is available at the Rochester Public Library in traditional and large-print format, and through the library’s digital collection for e-books and audio players. For more information about this book or the author, visit the author’s website by following this link. 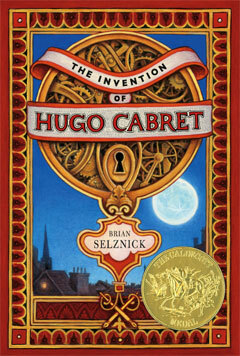 The Invention of Hugo Cabret is a marvelous debut novel by illustrator Brian Selznick. So good, in fact, that it won the 2008 Caldecott medal. It was absolutely magical and another “first” for me as a reader. What a brilliant concept: making pictures tell long stories! How we view those pictures and details also tells us different dimensions of the story. Included are black and white charcoal drawings, sequences, and scenes to closeups. The use of these dimensions allows the reader to see a variety of stories such as how the clocks work, dream sequences, silent movies, and even what Paris is like. School children loved the mulit-layered story of this book, as much for the story itself as for the fact it was a BIG book (more than 500 pages!). Older kids had Harry Potter; now the younger kids have Hugo.. The Invention of Hugo Cabret is the story of a 12-year old orphan who lives in a busy Paris train station. He hides in plain sight, keeping the clocks running and staying out of the way of the authorities (and the orphanage/workhouse). It is also an homage to the French pioneer silent filmmaker, Georges Melies. This is a captivating book full of wonder; a magical blend of graphic novel and historical fiction for the young adult audience. The movie is every bit as magical and should be on everyone’s list to see. Perfect to share with your grandchildren!! View the trailer for the Oscar award-winning movie, Hugo, based upon the David Selnick novel, The Invention of Hugo Cabret. To vote or not to vote- is this a question you’ve considered recently? With the election season in high gear, the nature of voting in our society takes on more immediate meaning. There are those who choose not to vote, dismissively assuming their single vote doesn’t matter. There are those who cast their votes for third-party candidates with little or no chance of succeeding as a protest against the “powers that be.” Finally there are others who are so passionate about the process that they become intimately involved; ringing doorbells, making phone calls until late in the evening to marshal support, even losing friends in heated debates over the perceived qualities, or lack thereof, in the newest crop of candidates. Jefferson said, “Those who don’t vote get the government they deserve.” The question put forth by Jess Walters in Citizen Vince is this: would voting be more important to you if your voting rights – or responsibility to vote – was taken from you? Vince Camden had never voted. Never really thought about it much. Most of his life had been consumed living on the streets of New Jersey, selling stolen credit cards purchased from crooked mailmen and just getting by. That was before he turned State’s evidence on his wise guy bosses, and the Witness Protection program hooked him up with a job at the “Donut Make You Hungry” shop in Spokane. Late night poker games with lowlifes and hookers, his credit card sales and selling pot hidden in jelly jars full of commemorative Mt. St. Helen’s volcanic ash, make for what passes as a decent living. Looking over his shoulder takes up most of the time he has left. He’s popular and successful in his dysfunctional little circle of friends and associates; a big city fish in a small town pond. It’s 1980, right in the middle of the Reagan/Carter election cycle, when he runs into what might be the love of his life. Well, love’s a pretty strong word. Certainly a better prospect than his neurotic ex-working girl squeeze. Kelly is blonde, gorgeous, classy; a donut shop regular who comes for coffee and two chapters of her latest novel on her morning break. Finding an opening, Vince breaks the ice by engaging her about their shared literary interests. After her initial aloofness, he finds she’s interested in politics, something he’s never really considered seriously, much less cast a ballot. Elections are rigged, voting is for suckers. Out of politeness as much as anything, Kelly invites Vince to a rally to hear Michael Reagan give a stump speech for his dad while throwing some support to Kelly’s lawyer boyfriend, who happens to be running for the state legislature. A desire to keep on Kelly’s radar finds Vince in an extended philosophical political discussion with Kelly’s lawyer friend, which in turn sparks a dawning interest in the election process. Meanwhile, Vince’s past isn’t satisfied to simply stay buried. Old scores settle hard, and there are debts that have come due. Is it possible to actually forge a new future without shaking the past? Are there any second acts in an American life? Vince finds himself in a position that calls for hard choices that will have long-term implications and consequences that he may not be able to live with. He finds himself on the fence trying to decide whether to continue his reign as the “one-eyed king in the land of the blind”; or crawl into the daylight, searching for the promise of a better life that provides a chance to stand upright as a citizen, casting a vote that might free him from the moral ambiguity of his past. Is it possible to escape your past and redeem yourself to the point you can face a brave new future? 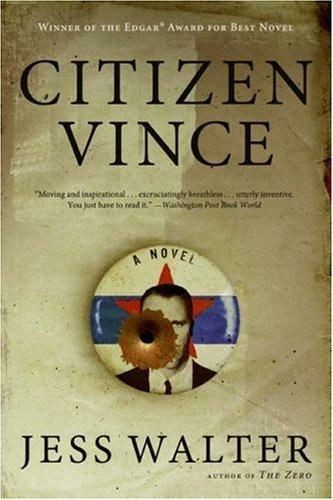 Citizen Vince is available at the Rochester Public Library in traditional format and audio CD. For more information on this book, visit the author’s website by following this link. 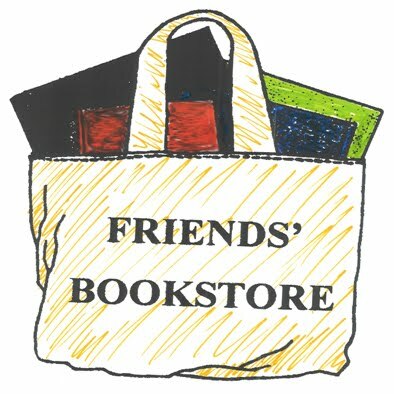 Exciting Library Events This Week! 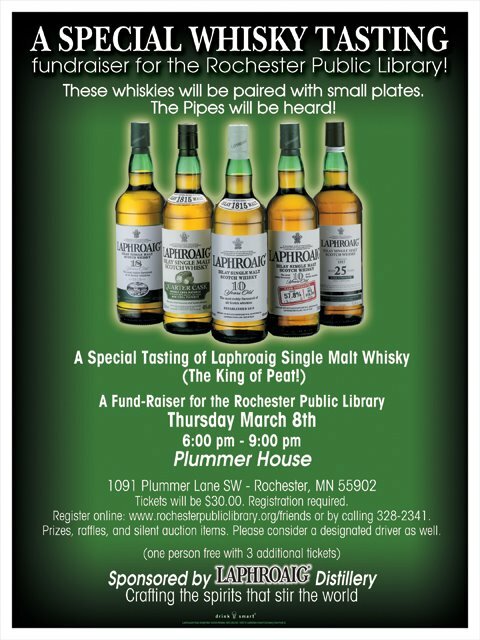 benefiting the Rochester Public Library!